The anticipated contract between Italy's Fiat and the Zastava automobile factory in Kragujevac has been the subject of ongoing discussion in the Serbian media. Many details remain unclear. 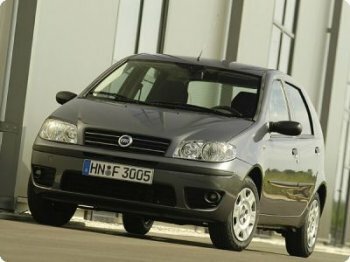 In general, the deal calls for Zastava to begin producing an older model of the Fiat Punto, as well as providing spare parts for this automobile. Before that can happen, however, Zastava must pay off an 11m-euro debt to Fiat. Economists have mostly welcomed the agreement, although they say it is long in coming, having been delayed for years by the conflict in the Balkans. "At this time this is good news, although I remember that in 1991 Fiat and Zastava were ready to sign a contract for the assembly of a Fiat model in Kragujevac," says Misa Brkic, a journalist for the weekly Vreme. "Fourteen years have elapsed and those talks are being continued only now. 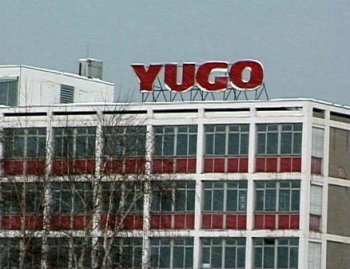 Hence, so much time has been lost, and for the people who worked at Zastava all we see is an enormous burden," Brkic adds. At least two major benefits are expected. To begin with, new workers may be hired for assembling the Punto, helping to alleviate unemployment in Kragujevac. At the same time, new technology will be introduced into the antiquated Zastava factory. "During technological innovation we had an opportunity to take on production of individual parts, both in Zastava, as well as in companies across Serbia. Considerable opportunities will be created both for manufacturing and for employment," says Zastava general director Zoran Radojevic. "We will begin assembly and market entry of vehicles immediately, but above all with imported parts and components from the Italian manufacturer," concluded Radojevic. It is not yet known, however, how many vehicles will be produced annually and how many workers will be hired. According to Radojevic, the signing of the contract will be followed by a credit arrangement with the Serbian government, providing 15m euros for the renewal of production technologies. Finance Minister Mladjan Dinkic has also confirmed the planned technological renewal credits. Nevertheless, say analysts, tough negotiations must still be conducted between Fiat's management and the Serbian government.